When I first saw Danielle's collection I was in awe. How did I not hear that name before? A quick google search revealed that she is indeed very new on the block but she's already got a committed following. Not that I'm surprised. With ABSOLUT ORIGINALITY exhibition launching this week (see details below), I had an opportunity to chat to Danielle about her designs for the exhibition and all other things fashion. I’ve seen one of the pieces you designed for the ABSOLUT ORIGINALITY launch, a stunning white dress. Could you tell me a little bit about the idea behind it? 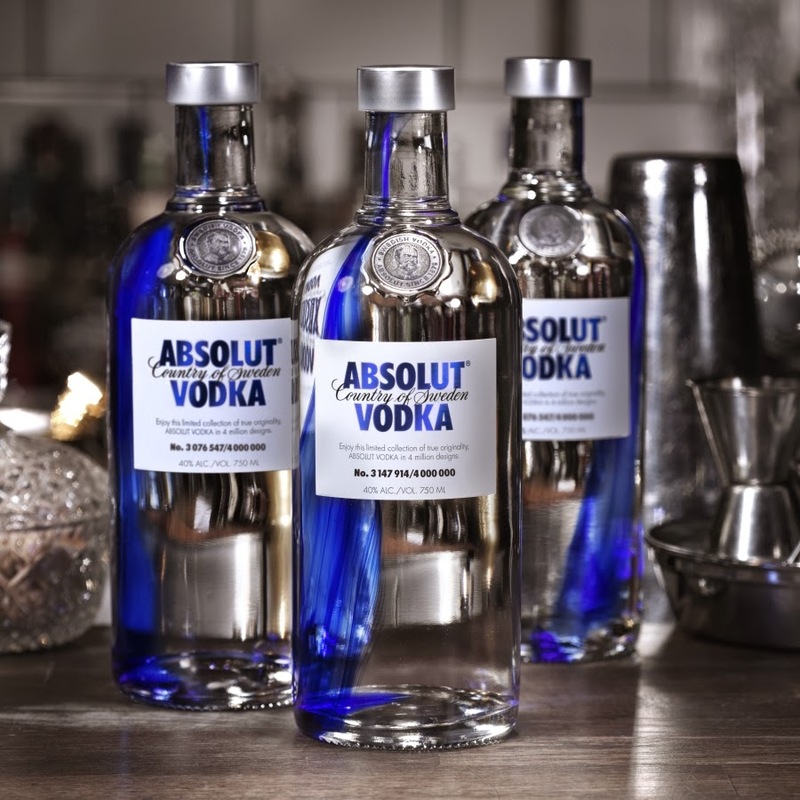 The inspiration was taken from this year’s limited edition bottle design – ABSOLUT ORIGINALITY. 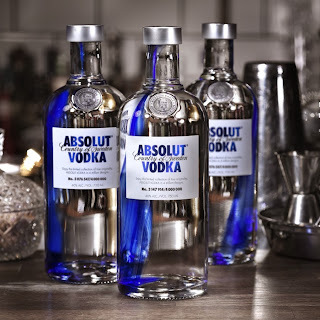 ABSOLUT have managed to create a range of bottles, each one unique from the next. The bottle looks like a drop of blue ink has been poured into the glass at the blowing stage, allowing it to sweep around the glass in a beautifully organic and unexpected way! I took the translucency of the bottle and the blue of the ‘originality’ drop and, exclusively for the project, I created a plastic laced embellishment. Two layers of blue plastic are laced together to create a depth of colour and light, these pieces are laced together using an ancient samurai armour technique which was designed to allow solid things to bend and flex with the body. The fringing is then placed on the body in an organic and fluid way, attached to the dress with blue leather panelling. The piece took maybe four days to hand lace so it is pretty special! How many more pieces will you design for the launch and can you tell me a little bit more about them? I am working on another outfit, this time a top and skirt with similar plastic fringing. If you thought the first one was a statement piece, you really need to see this! It will be on view at the exhibition and will be a part of the interactive element of the exhibition, where you get to use cutting edge technology to project imagery onto the outfit just by using your hand and finger movements. It’s pretty cool! You worked for Alberta Ferratti for a while; do you think it shaped your own collections? Of course! As a designer every place you work seeps into you and comes out in some form or another, I think I learned to understand the beauty of lightness and femininity while working with Ms. Ferretti. 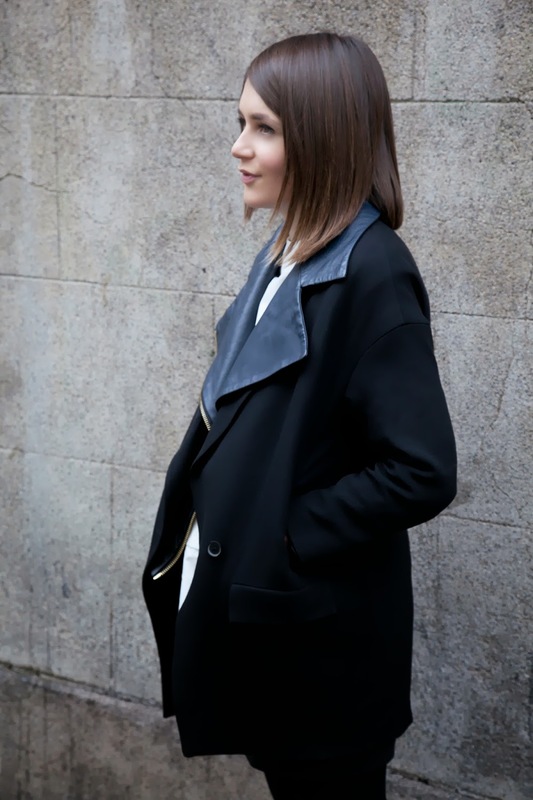 You moved back to Dublin in times when most fashion designers/professionals are making the move to London. What made you do that? Why not? Fashion professionals and talented designers have been moving away since forever, the industry is small here and opportunities are limited, that never really changed during the Celtic Tiger years, I moved away too and worked with a designer in London before starting my Masters. I came back to Dublin as it felt like an exciting place to work as a creative person again. It’s a small city and I love living here, people are very open to collaborative work and supporting each other. My business is quite focused on the international market but I have so far managed to do that from Dublin; however I am looking at leaving Dublin again as the support for promising fashion business is just not here. London looks likely again! Is there a celebrity that you would like to dress? I would be delighted if someone I really respected for their achievements wore some of my pieces, like the artist Marina Abramovic or architect Zaha Hadid. Saoirse Ronan wears clothes beautifully, and not only is she gorgeous, but also extremely talented. Angela Scanlon always looks amazing when she wears my pieces. Who do you design for? Do you have any particular type of a woman in mind? I guess I love the idea of being able to throw on one of my pieces with a pair of flats and go! They’re not the sort of clothes that you need to match your handbag to, they should feel relaxed and effortless. I love the idea of a younger Tilda Swinton crashing posh parties that she wasn’t invited to, just running around having a giggle with her mates. Oh, a tough question, I guess receiving my Masters from the Royal College of Art in London was a pretty big deal for me; the work that piece of paper represents is sort of overwhelming! The fashion industry is very competitive and cut-throat. How do you manage as a young designer? By keeping focused on what I believe in. I focus on what I am doing and don’t look around me too much; the race is with yourself not with anyone else. I am a strong believer in the beauty of craft and approach my design with a sort of subversive craft attitude. I create slow fashion, things that can’t be copied within the high street stores, things that are beautiful and labour intensive to make. I am always being told, “that piece is going to be a nightmare in production” but I don’t care, so what if the factory can’t do our hand laced fringing, let them do the rest and then we will do that, we will just work harder and that’s why it is worth buying from a young designer - the big boys won’t operate like that! The name on the label may be instantly recognisable but if the dress you just spent €1000 on was made in the same factory as a dress you could have bought in the next shop for €200, is that really value for money? Are you really getting a thousand euros worth of hand-crafted beauty? Have you got a favorite designer? Who is it? I couldn't name just one! I love Cristobal Balenciaga; he is a hero of mine. I also love what Proenza Schouler based in New York do. You use a lot of leather in your collections. Some designers are moving away from that now, making a statement by using recycled fabrics, etc. What’s your view on that? Each to their own! I use a lot of leather but there is an almost zero waste approach to my use of the product. All the leather that was used in our hand laced fringing from Autumn/Winter 2013 is used from off cuts, meaning there is less than 1% waste on a typical hide. It’s a beautiful material to work with. It’s tough and flexible, and you can do things with it that no manmade fibre on the planet could because it's special – it's skin. I do often think about the animal that lived in it, so I try to make really beautiful things from it. Danielle will be featuring her designs in ABSOLUT ORIGINALITY, a free multidisciplinary exhibition taking place in Mabos Arts Space, 8 Hanover Quay, Dublin. The exhibition is free and open to the public on Thursday, October 31st; 11am to 8pm, Friday, November 1st; and Saturday, November 2nd, 11am to 6pm. The exhibition is to launch this year’s new limited edition bottle design, ABSOLUT ORIGINALITY, which features a streak of cobalt blue to reflect the original streak in all of us. Visit www.ABSOLUTORIGINALITY.ie for more information.